Here at 10up, we strongly believe that a vibrant and active WordPress community is crucial to our success and longevity. After all, our business is built on the confidence that our favorite piece of free open source software serves as a great publishing platform. As we’ve grown, we’ve been able to expand our commitment to creating amazing publishing experiences for our clients and partners to the WordPress open source project itself. At WordCamp Philly 2011, Jake and I finally met in person for the first time. Over dinner, we talked about our shared values in the community and the conversation led to an intriguing proposition: time each week to spend contributing to WordPress – a donation to the community by way of hours and effort. It began with 5 hours a week, and as 10up grew, it increased to become 8, then 15, then 20 hours each week. Today, I am really excited to announce that I am officially endorsed to work full-time on WordPress core as a guest committer and leader in the community. 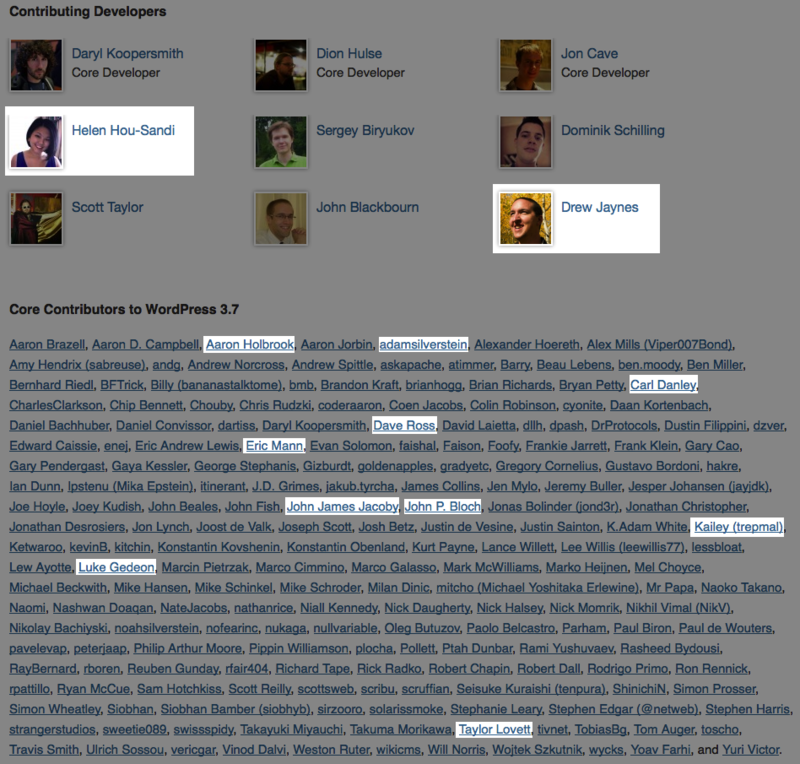 I am officially endorsed to work full-time on WordPress core as a guest committer and leader in the community. In practice, I have chosen to continue being active on some client projects. We are especially valuable in contributing back to the community in the areas we handle deeply in our work for clients and partners, and I feel that the best way for me to do that is to remain grounded in the world of implementation and especially custom administrative interfaces. I also regard our team as incomparable (for which we’re always hiring) and would hate to miss the opportunity to work with and learn from such an incredible group. This year, we also welcomed Drew Jaynes (DrewAPicture), who is able to spend a significant portion of his time on WordPress core and community efforts. Drew also recently earned guest committer status for his role in advancing the less-glamorized but extremely important world of documentation, especially inline documentation for hooks. Almost exactly two years after that first conversation, we are proud to boast that our team not only includes two core committers, but another 20 credited core contributors, many of whom are quite prolific. We’ve also contributed code to many plugins, sister WordPress projects like bbPress and BuddyPress (not just through JJJ), and other established open source software projects such as jQuery. While we are busier than ever, we still encourage each other to find that scratch to itch and contribute where we can, both on and off company time. Editor’s note from Jake: I’ve said repeatedly that nothing is more critical to the success of agencies that rely on community, open source software platforms than the continued success of those platforms. It is incumbent upon those who have leveraged free, open platforms with success to share that success back. By economically enabling world class engineers like Helen and John to improve open platforms, we not only ensure that our customers continue to have a first class solution, we enable the next generation of builders, who can’t yet afford such resources, to further grow our ecosystem and the platform’s demand. I believe this is the social contract of open source, and as 10up grows, so too will our contributions to open source. It’s not just responsible citizenship, it’s good business. I love this. Congrats on this position Helen. Great news for the WP community. WordPress wouldn’t be where it is today without 10Up’s contributions. Thank you!